This Star Wars lightsaber bracelet set is available at Box Lunch. 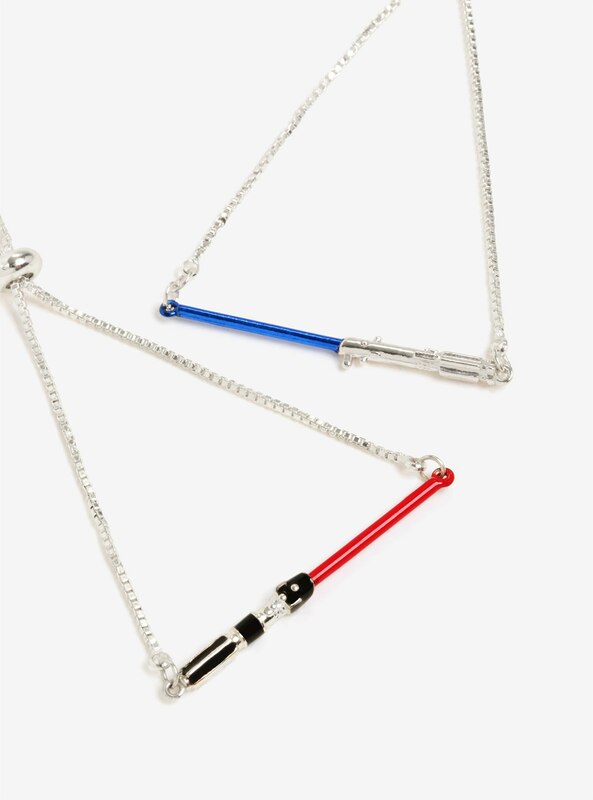 The set includes two silver-tone adjustable bracelets, each featuring a central lightsaber pendant – one features Darth Vader’s lightsaber with red blade, the other features Anakin Skywalker’s/Luke Skywalker’s/Rey’s lightsaber with blue blade. 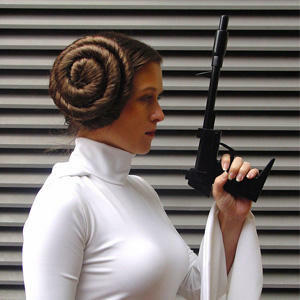 Okay, so you can’t carry your lightsaber everywhere you go. 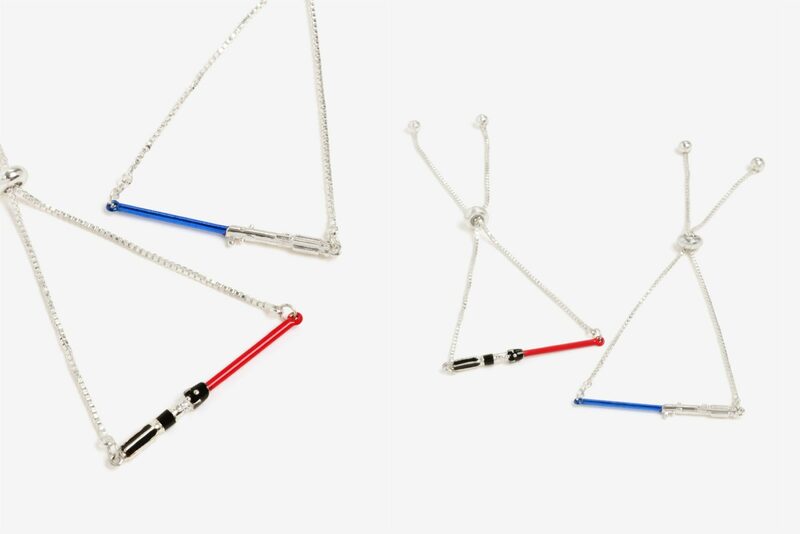 You can wear this bracelet set instead and keep The Force with you. 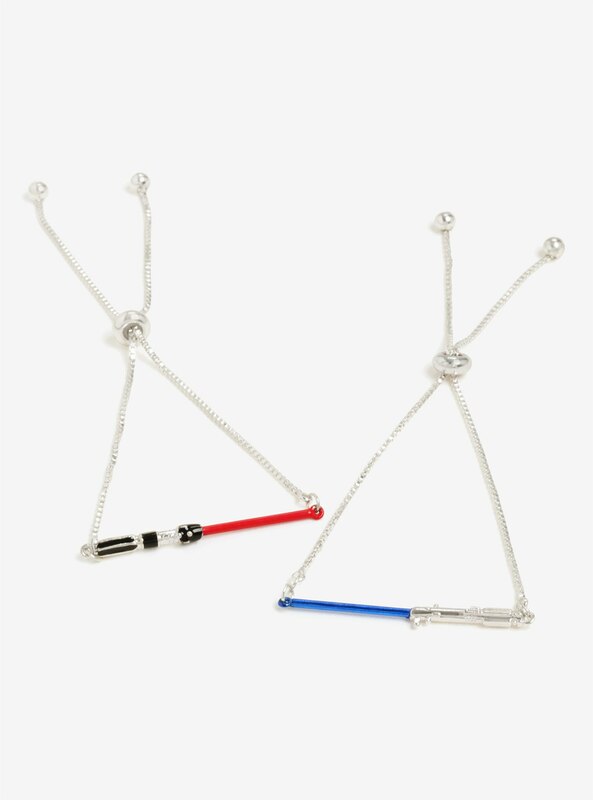 This bracelet set features two bracelets, one with a red lightsaber charm and the other with a blue lightsaber charm. The set is priced at US$24.90 per set – Box Lunch can ship internationally.